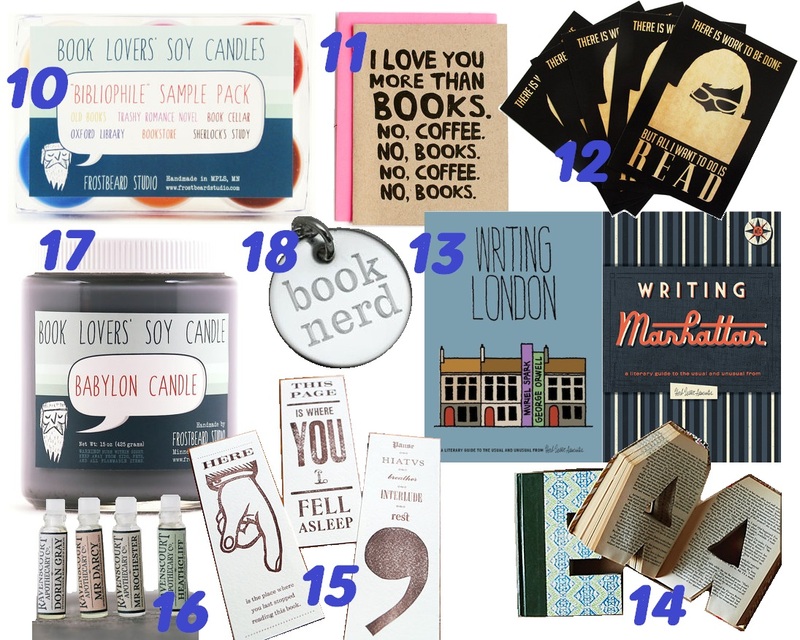 This entry was posted in bookish gifts and tagged wishlist by janicu. Bookmark the permalink. I always love these posts of yours! Thanks so much for sharing! Thanks! I really enjoy making these! It takes a while to save up enough “book things”, but it’s so much fun to hunt for them and then collate everything. 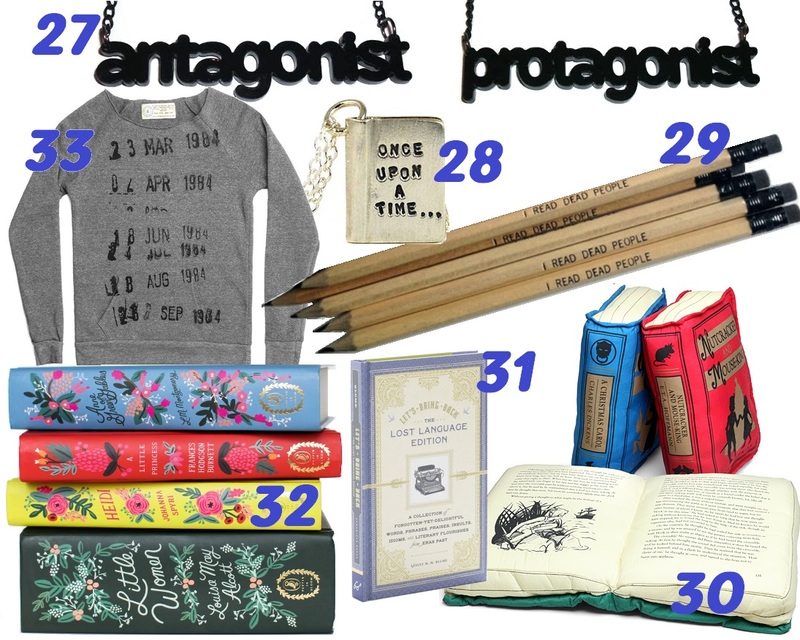 I’ve seen the antagonist/protagonist necklaces as well as the long-sleeved sweater with the library stamps. I AM IN LOVE. I would def shell out money for these. 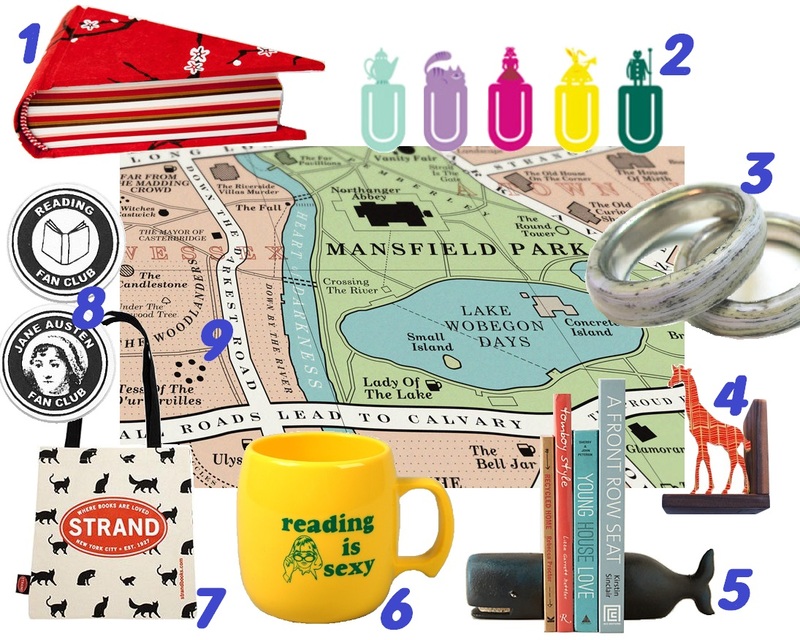 I love that library stamp sweater. I feel like I need more sweatshirts in my life. It is too cold in NY right now. Haha, very descriptive. Yeah, I remember the days when I had more time to read.. ah, I long for those to be back. Truer words were never spoken. It is FREEZING. The only thing that stops me from spending my money is the fact that I need to save every penny that I can for grad school. Oh my gosh. The I Read Dead People pencils! Those are the best ever. I love your lists, Janice. They are! I also wish there were pens with that on them. 🙂 Yay, glad you liked. Wow! These tips are amazing! 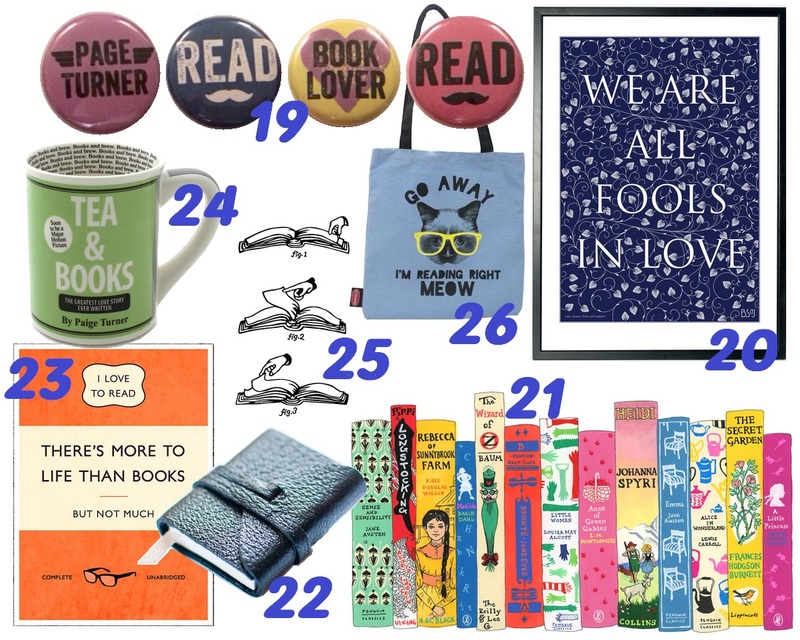 I adore bookish gifts!